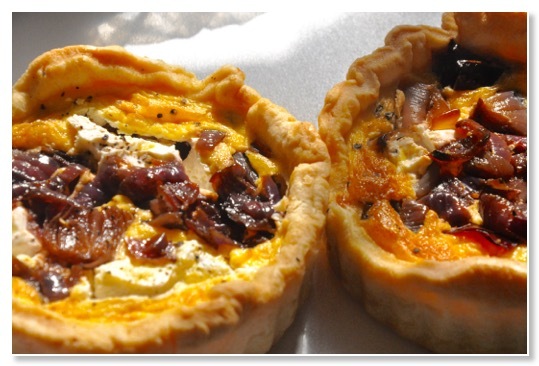 We have added a new savoury bake to our menu: a goats' cheese and red onion marmalade tart. They seem to be going down well with our customers. We use a French crumbly goats' cheese and a red onion marmalade made with a drop of creme de cassis. Very summery. Our other regular, still very popular, is asparagus tart with blue cheese and walnut. Emily found this on the beach at Sandsend. It looks for all the world like a petrified fast food sandwich. 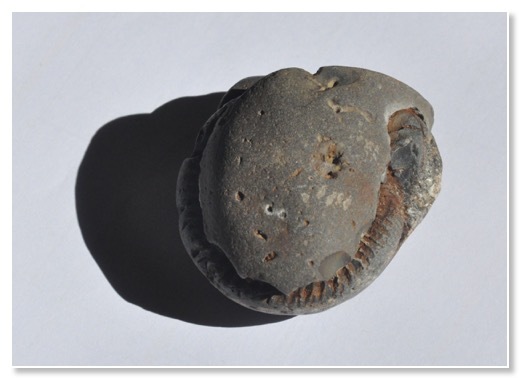 Filet o' Ammonite anyone? Thank goodness the box it came in was bio-degradable. We read in the paper yesterday that North Yorkshire is the best place in England for finding fossils - eat your heart out Jurassic Coast! We decided to put some words up on the beams in the coffee shop. 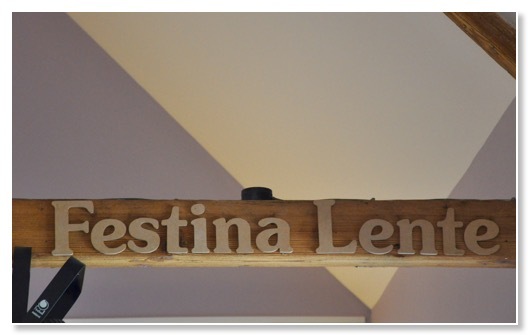 These unpainted wooden letters are low key but give customers a chance to practice their rusty latin - if they're not in too much of a hurry that is. 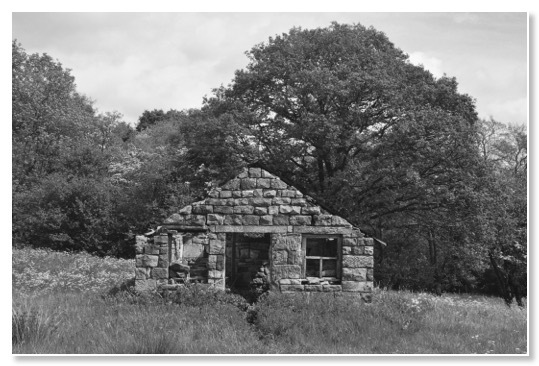 We came across this building (shepherd's hut?) on a new walk we tried out earlier in the week. It's a new walk because the North York Moors National Park Authority has built a footbridge across the Murk Esk replacing one that, although marked on the OS map, disappeared years ago. It means we have another circular walk we can take after finishing in the coffee shop for the day. Later on the walk we came across these sheep blocking the path. 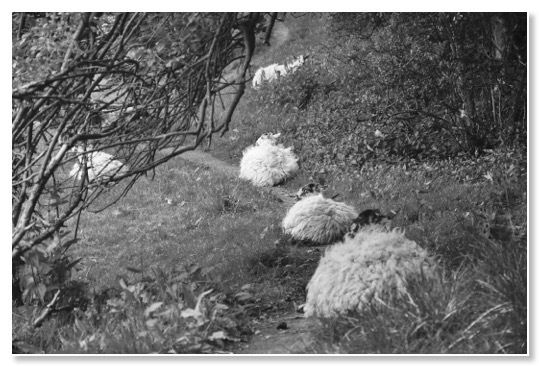 We weren't sure if they were staying on the path because the earth was warmer than the grass or because they were staging some kind of sit-in protest, or just wool gathering.